OH, WELCOME BACK! They say that “absence makes the heart grow fonder” and I know that it’s true, because I sure have missed the extraordinary word and visual buffet dished-up regularly here at red Ravine! 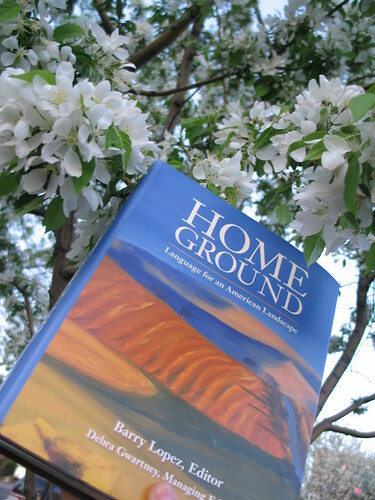 QM, thanks for the blossoms and thoughtful review of “Home Ground.” I’ve added the book to my list. I live on the high prairie, but my home ground is small mossy-bottomed Cable Lake in the north woods of Wisconsin. But, right this very minute, my home ground is here, right here, with you at red Ravine. Welcome Home. Thanks so much for venturing out with this first post, QM, after our blogcation. (I like saying that word 8) ). Glad to hear you got to see Patricia Hampl. I still haven’t finished the book I was reading about her. I started a work of fiction about the Vietnam War, but I didn’t read that very much either while I was in Vietnam nor on my journeys to and fro. I did complete two doodles, and I had a most relaxing time during my down time, although busy while working. It’s good to be back. Thanks, breathepeace, for your kind words!! Welcome back! You both deserved the blogcation. I also was away & we took the laptop with, but I think I only went on it 2 times, so although I missed the absence of red Ravine, I wouldn’t have been around to read it. We had a great time & after last summer, the 2 of us decided we needed it. J can’t do long walks because of the nerve damage in his feet, but we got around none the less. Our last night was interesting. The hotel was booked solid & our neighbors had a wild party gone bad. It was miserable. They were fighting & I mean street type fighting. Cursing loudly, throwing furniture, & threatening to cut each other up. Security was called to calm it down at 10 pm.. Then again at 3:30 am.. And we had paid double our nightly booking cost as it was the beginning of the 1st night of the Memorial Day holiday. I asked for half of it back at checkout & was given the refund due to the many complaints they had received.It always seems that I tend too have interesting vacations! It’s good to know QM and yb are back in the saddle! I am glad you got to hear Patricia Hampl live, QM. When I was last in Taos, Natalie Goldberg read several excepts from A Romantic Education. Natalie said Patricia is the foremost memoirist in the United States right now. I hope you’ll check in about her books as you complete them, QuoinMonkey. I went out to dinner with a few friends last night, and was bemoaning the challenge of dealing with an aging father–one whose impact on my life has been negative and constant. Interestingly enough, one of my friends had recently read A Florist’s Daughter, a memoir where Patricia is none too complementary about her mother. Over cashew chicken and pork lomein, she suggested I read it for comfort. I’ve already got it on hold at the library. Teri, I will try to check in on Patricia Hampl’s books as I complete them. I’m pretty new to her work but am already finding that I am learning so much about memoir from reading her books and listening to her interviews. Also after hearing her speak at Highland Park, I can tell she would be an excellent teacher. Hey, did you hear anything about how it went at The Loft Memoir Writing Festival at Open Book? The featured speakers were Kao Kalia Yang, Bernard Cooper, and Patricia Hampl. I bet it was a great event to attend. Sinclair, The Florist’s Daughter sounds like a good book to read for conflicting inner emotions about dealing with aging and dying parents. The interview I link to at the end of this post is excellent, too. Hampl is honest and stark about how hard it was to be the caregiver for her parents, not just for months, for as the years went on. All the different emotions that it brings up, and what it means to be an adult daughter. Being a daughter for me is an adult enterprise, not just a childhood memory. This isn’t the kind of book you write while your parents are still living. Not because you want to wait until they’re gone to be able to tell the dirt….but [because] it’s the kind of book that requires the story to be finished. Or the story, the nature of the relationship, to come to its final conclusion. And so, that became a very important part; I couldn’t imagine writing it otherwise. Beyond that, I’d say the problems I faced were what to leave out, what to keep in. And to make sure I wasn’t just reminiscing. I think that’s a waste of a readers’s time. I really feel that memoir needs to be the quest literature of our time — something has to be at stake. There has to be something that you need to know, you had to find out, lay to rest, you have to correct, whatever it is, there has to be a need of urgency. That was what I was looking for throughout. breathepeace, I didn’t get a chance to say it yesterday but your comment made my day! So happy to hear from you (as always) and thanks for your kind words. I hope the writing is going well. If you come back to this post, are you heading to Cable Lake this summer to write? If I recall, don’t you head that way every summer? diddy, welcome back from Ocean City, Maryland! Wow, that’s quite a story from your last night there. Unbelievable. I hope it went well on the beach aside from the raucous neighbors. Did you spend a lot of time resting on the beach? Hard to tell when I’ll make it to the ocean again. Not yet sure about travel plans this summer but will keep you posted. Hi to J. and the rest. I couldn’t agree more. I don’t want to read a memoir that’s simply a recounting. Something has to be at stake. The confluence of the discussion here is perfectly relevant to my personal situation with my mother and my return to Cable Lake. Whereas Cable was the place of carefree childhood summers, it is now much more complicated. Like Hampl, being a daughter has become an adult enterprise for me. My aging-not-so-gracefully mom owns the house on the lake and I am the only one of six kids who will travel with her from Chicago so that she can stay there. It is both a playground and a minefield now. This is good summer for me to read Hampl. Yes, QM, I do write there. It is where I discovered and fell in love with haiku practice. I especially love to float in the kayak on the little lake, with the loon paddling close-by and bald eagles soaring overhead, while writing one haiku after another, counting syllables in the sun. I picture you in the kayak, the bald eagle, a piercing through quiet. Meloncholy and love, compassion and tension. Yesterday I went to the funeral of my brother-in-law’s father. I’ve known my brother-in-law since I was about 10, I believe, and have spent many a holiday with his family. Everywhere around my parents, their peers are dying. My mother’s best friend earlier this year, my dad’s brother a year ago, now Kelly. My aunt Connie sent Mom a box of beautiful tiles, and I helped Mom find a place where she could have them set into a wall. Later that night she called to say that she was giving the tiles to me, that she only expected to live a few more years, and that she didn’t want the tiles to be sold with the house. What do we see when we look ahead? She sees death. Not in a sad sack sort of way, but pragmatic, matter of fact. She’s been working out for eight or nine years at the gym, three times a week. She is vibrant, healthy, beautiful. I pray she lives a long time yet, but what is long? Last night I was reflecting, I remember when my grandmother died. I was in my 20s. My parents and aunts and uncles were young. Now I’m their age. Another revolution of the earth. The big Earth. “Home Ground” sounds like a wonderful book. The kind of book I’d really enjoy. Thanks for the heads up. I’ve often wondered what the difference is between a ravine and a hollow, or if there is one. When we lived in West Virginia and southern Ohio, what I think of as ravines were called hollow (or “hollers”). Is the difference mainly regional dialect? I took a quick look at dictionary definitions and found one that describes a ravine as “a deep and narrow hollow.” Interesting. Good to have you back. The book sounds very interesting. I’ll take a look. I am following you on Twitter. I love, love, love Twitter. Welcome back, with this wonderful post and the stunning work of Cathy Wysocki. We were gone as well, on our first “road trip” in many years. Usually we are heading straight to the airport on any breaks – it was more relaxing to throw everything in the car and go when we were ready. We took a thousand-mile loop down through southern NM and across AZ to Tucson – visited our son – then headed up to Sedona for a Lil Chill with cousins…those big rocks are awesome, they grow on you…headed home on I-40 – This is my home ground, the astonishing variety of mountains and mesas, valleys and vistas, in the Southwest. Always good to be home in one’s own bed. Thanks for being there too. Corina, thanks for stopping by. We added you on Twitter as well. Christine, we are redRavine on Twitter. Now following you, too. Lil, welcome back from your road trip. Wow, 1000 miles. Haven’t done that long of a road trip since my last drive to Taos (about 1200 miles). I like your idea of Lil Chill with the cousins. I’ve been to Sedona only once and found the rock formations amazing. And that red — you just don’t see that every day. Robin, you bring up some good questions about hollow and ravine. Let me check it out in the book and get back to you! Robin, I checked on the word “hollow” in Home Ground. It was written by Jan DeBlieu (Bio LINK) who says her “home ground” is the Outer Banks of N.C. Amazingly, she also cites the work of Isabella Bird (as does Kim Barnes) but more on that later. It appears that a hollow is similar though a little different from a ravine. And it does mention (as you do) about the different meanings in different parts of the country. That’s part of what makes this book so great – writers from all parts of the U.S. Deep within the Appalachian Mountains, however, the word is pronounced “holler” and is used to describe the seam where two mountains join. In a holler, land rises on three sides, up the crease (along which a stream usually flows) and so up the flank of each mountain. The sun shines into a holler only a few hours a day, and the woods within are dark and dense. “Most hollers don’t have no view,” observes Granny Younger in Lee Smith’s novel Oral History. Small hollows are sometimes called cloves, likening them to the space in a goat’s splayed hoof. After two references to Isabella Bird in Home Ground, I had to look her up. I started reading A Lady’s Life in the Rocky Mountains (1879). Isabella Bird (1831–1904) was an English traveler and writer and the first woman member of the Royal Geographical Society. She traveled extensively and wrote a number of books, including The Hawaiian Archipelago (1875), Unbeaten Tracks in Japan (1880), Journeys in Persia and Kurdistan (1891), and Korea and Her Neighbors (1898). She founded several hospitals in China and Korea. Bird’s travels began in 1872 when, at the age of 40, she set out on an 18-month trip to Australia, New Zealand, Hawaii, and Colorado. A Lady’s Life in the Rocky Mountains is a series of letters written by Isabella Bird to her sister during her six-month journey by train and on horseback in the autumn and winter of 1873 from San Francisco to the Colorado Rockies. I have found a dream of beauty at which one might look all one’s life and sigh. Not lovable, like the Sandwich Islands [now Hawaii], but beautiful in its own way! A strictly North American beauty—snow splotched mountains, huge pines, red-woods, sugar pines, silver spruce; a crystalline atmosphere, waves of the richest colour; and a pine-hung lake which mirrors all beauty on its surface…..Lake Tahoe is before me, a sheet of water twenty-two miles long by ten broad, and in some places 1,700 feet deep. It lies at a height of 6,000 feet, and the snow-crowned summits which wall it in are from 8,000 to 11,000 feet in altitude. The air is keen and elastic. There is no sound but the distant and slightly musical ring of the lumberer’s axe. Wow, QM! Thank you. Very interesting and packed with information. I’ll be working on those links over the next few weeks when I can. My youngest son is getting married on the 13th and we have tons of stuff to do to get ready for all the family and friends coming in for the wedding as well as anything the bride needs us to do. Thank you so much for going to all that research and trouble. I appreciate it. That is interesting, QM, the visual one gets when thinking about the scooped out hollow versus the cloved holler. They sound pretty different. And this Isabella Bird sounds like a fascinating person. What you mention about her Victorian characterization of non-white was, I think, probably widespread at the time, even among well-traveled people like her. Maybe even moreso. But in spite of that, it is admirable to think of how hard it must have been for her to travel, both due to the challenges of travel back then, period, but also because she was a woman. Hey lil, welcome back to you, too. Nice that you got to take a road trip. Jim and I mentioned you and the doc often, wondering whether you were on vacation or not. What a relief to see that you two (and the other people who post) are back in the saddle again. Welcome home. I hope you enjoyed your time away and look forward to what happens in the coming year with red Ravine. My mother said to me as I entered my fifties and friends started to die, “When you reach your age, your friends start to die. When you reach my age [late 80’s] all of your friends are dead.” As I approach 60, my appreciation of the wisdom of her thought grows. Somehow life and the time I spent with the people I love and like has become more precious and less about petty stuff. They won’t be here forever and neither will I.
Robin, have fun getting ready for (and at) the wedding. Lots of work but you’ll be able to relax after the 13th. ybonesy, I think that’s true about Isabella Bird. She was a product of the disturbing beliefs of her time. And also overcame rigid gender barriers at the same time. Women of her day just didn’t write, travel over rugged terrain, and document their findings the way she did. It seems important to have an awareness of both of these things about her. Yet judge her in the context of the time in which she lived. One of the links also had a quote by Mary Austin, a naturalist from Southern California (also ahead of her time) who wrote about the desert and was one of the first writers to appreciate the arid ecosystem. One of my profs at MCAD gave me her book Land of Little Rain for a graduation present. It was right after I had been to the 4 Corners area photographing and writing. To understand the fashion of any life one must know the land it is lived in and the procession of the year. I think it’s important to add to her criteria the century in which one lived, the decade, the individual years. That along with the land, the seasons, all add up to who we are as people. I had a similar conversation with a couple in their 80’s during Art-A-Whirl, the parents of one of my close friends. They said they had been to a funeral the day before and that the hardest part of aging was to see all your friends die. They mentioned a few other things as well, memory, loss of mobility. There was also another woman in her 90’s who lived in Northeast and walked a few blocks with her walker and up into the Casket Arts building to see all the art. I talked to her for quite a while. She thanked me profusely when she left for simply taking the time to talk to her. People really just want to be heard. It made me aware of the need to stop and take the time to really listen to people. Picked up “Home Ground” at the library today along with Mark Twain’s “Letters from the Earth”. “The Florist’s Daughter” is MIA at the library so they had me place a hold on another copy at the downtown branch. “We need a richer vocabulary of place. On the average, according to geographers, there are fewer place names per square mile in the Unite States, than anywhere else on earth. In long-settled countries…every watercourse, bluff or butte, every prominent rock bears a name and a story.” My proposed topics were “a richer vocabulary of place” and “write about a place with a name and a story.” Will be interesting to see what comes from those two topics. I hope that “Home Ground” will provide me with a richer vocabulary for the places here in my homeland. Per my friend’s suggestion, I have secured a copy of The Florist’s Daughter from the library. I am 50 pages into it. Patricia doesn’t mess around, does she? Within the first two pages she was letting us in on the difficult character her mother was. It’s a relief to read. Bob, Now how in the world did The Florist’s Daughter go missing at the library? Was it stolen or never returned? Maybe it will show up on that “free day” libraries have where you can return late, late, late books with no fines, no questions asked. At least, I think they still have that in Minneapolis. Libraries are so popular right now with the recession. Lots available there. I like the Mark Twain choice, too. He’s one of those writers who I pick up and read over time. I’m so happy you purchased Home Ground. Let me know how you like it. It fits perfectly with your Topic. Patricia Hampl talked about how maps used to crowded with names of places (I think I’m remembering this correctly) that have been shortened over time. Sparse maps. And now they have people’s last names rather than geographical descriptors. Evolution isn’t always a good thing. Here’s a toast to a richer vocabulary. Sinclair, how far along are you in The Florist’s Daughter? Nope, she doesn’t mess around. You know what struck me about that book was that I had the question, how in the world did her parents ever get together. They seem so opposite. Maybe she answers that in another of her memoirs. I’m reading one of the first ones now and it fills in some of the gaps from the last. 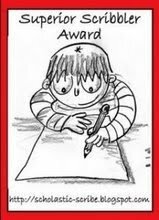 I like knowing that there are many different levels to memoir, no right way to do it. I ended up liking Patricia Hampl’s mother in the end. She seemed strong but not quite strong enough to live her ultimate dream; she lived it through her daughter.